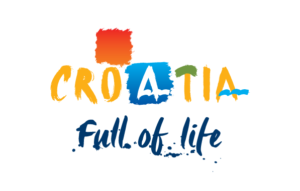 Vacation villas, apartments and hotels in Croatia - Charming Croatia / News & Things / Be seduced by beautiful Istria! Crystal-clear waters, medieval towns on limestone hilltops and gorgeous landscapes contribute to the region being Croatia’s most attractive peninsula. With a hint of Tuscany and lush Italian scenery, it’s easy to take a deep breath and just enjoy the seductive atmosphere to the fullest. An atmosphere full of the aroma of truffles, sea, olives and green hills. There’s an Istria for every taste. Whether you’re an offshore fan out to enjoy and experience crystal blue Istria or a gourmet lover that is on the hunt for new scents, you’re likely to find exactly what suits you and your needs best. The largest towns on the Istrian peninsula are Pula, Rovinj and Poreč, all important contributors to Croatian tourism as they host one third of the country’s tourists. A not-so-hidden village that you should seek out, is said to be the world's smallest city - Hum. This little block of homes doesn’t count more than 23 residents in total, with its streets dating back to the year 1102. The hilltop town is actually no longer than 100 meters long and 30 meters wide, surrounded by picture-perfect breathtaking views. Walking through Hum takes no more than ten minutes in total, but you should stop and enjoy a delightful setting and historic medieval architecture along the way. The church from the 1100s, the massive city walls, the lookout tower, stone staircases and medieval graffiti is something worth snapping pics of. Glagolitic Alley is the trail that links Hum with neighboring village Roc. If you take a guided tour of these two villages, you’ll hear stories about how magical dragons and elves ruled the world in the past, and the tales really set the mood before arriving in the world's smallest city. To truly experience the beautiful scenery is to visit the hilltop town of Motovun (Italian Montone) too. The city is not only eye-catching, but serves as an inspiration to the arts, as it hosts the annual Motovun Film Festival. The town hosts an annual truffle festival and is known for its surrounding lush greenery. Istria isn’t for foodies only. Are you interested in art, it’s worth taking a trip to the city of Groznjan. This artistic colony is said to be "pretty as a picture". The city has no less than 30 galleries that are worth visiting, which explains the nickname "Town of Artists". The city itself is a historical journey. Groznjan to be a castle, and "The Great Gate" on the way into town used to have a royal drawbridge attached. Just like in fairy tales. Something that characterizes the small medieval villages in Istria, are the peaceful and quiet streets where you can can enjoy the company of your loved ones. During the summer months, however, the towns fill up by larger cultural experiences. Groznjan hosts an annual jazz festival where the streets are filled to the brim with jazz musicians. The city is also the seat of the International Cultural Center of Young Musicians. Istria’s blue atmosphere is characteristic of both Istria and Croatia as a country. The sea conditions are ideal in the peninsua. The beautiful crystal clear water, rolling beaches and rocks will give you the perfect "hedonist" experience you need for the holidays. Croatia is very keen to preserve its blue coastline and keeps in line with the global "Blue Flags" campaign. Here, all beaches marked with the Blue Flag maintain some international quality and condition, both in terms of beach water quality and safety. More about the blue flags of Croatia, and which beaches you should check out in Istria. Sailing is a perfect way for you to enjoy Istria’s potential. Rent a boat with professional crew and sail off to experience Croatia's alluring waters and hide-aways. If you like to spend your time in Istria's green oasis, but would like to get a hint of the penisula’a water adventures, head to one of the water parks nearby. You're sure to get a joyful experience for you and your loved ones. Food is a major part of the Istrian culture, focusing on fresh ingredients and organic and homemade dishes with hints of olives. "Croatia’s Tuscany" knows how to seduce you with its charm, and will draw you to its heart through food and drink combined with stunning scenery. Istria loves to celebrate its local ingredients. To get an introduction to the local food culture, we recommend you to try out on one of the many cooking classes that are held in the area. Depending on the seasons you travel, the courses focus on the raw materials appropriate for each season. Spring is asparagus season, while in summer you will see a predominance of seafood. In the fall you’ll experience the famous truffle, while in the winter the hearty minestrone is in focus. Truffle remains Istrian main delicacy, and so the name of the local law dictates - this is gold! Truffle is the local king of gastronomy, and is something every family on Croatia's peninsula want you as a tourist to experience during vacation stay. With fresh truffle served on top of homemade pasta, you’re sure to be served a gastronomic experience to remember. Architecture and history hangs as a backdrop when enjoying your meals on the Istrian peninsula. The architecture is similar to Italy’s and here you will find most natives speaking both Croatian and Italian. Istria combines both peaceful surroundings with green oases full of olive trees, with the larger villages possessing impressive architecture and constellations. The best preserved and largest monuments of ancient architecture in Croatia is the Pula Arena. This was once the scene of gladiator-and-knight battles and the arena accommodates up to 23,000 people. Nowadays international giants such as Sting, Elton John and Andrea Bocceli hold evening concerts here during summer months. Istria has something for everyone, and with the amazing atmosphere of food, sea, culture and history, you’re guaranteed to relax and fulfill your senses. Thinking aobut travling to Istria? See our portfolios of villas and boutique hotels.